Help! 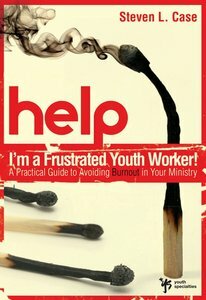 I'm a Frustrated Youth Worker! There are so many benefits to being a youth worker: You get to hang out with teenagers, watch their lives transform, and help them become adults who live for and love Jesus. But when you signed on the dotted line to work in youth ministry, nobody mentioned the negative side effects: isolation, criticism, a general feeling of being constantly overwhelmed, relentless questioning from parents and church leaders. The list can go on... But your frustration doesn't have to overtake you, or take you away from ministry. Inside the pages of this book you'll find humor, comfort, and encouragement for those times when you feel like you can't go any further. Youth ministry veteran, Steven Case, will help you through just about every scenario that adds to your discontent, including complaining parents, dealing with tragedy, and deciding when to leave a bad situation. Find practical tips to help you deal with the challenges of youth ministry, and get soul-renewing ideas to help you continue on, despite the struggles, so you can get back to enjoying youth ministry like you used to! About "Help! I'm a Frustrated Youth Worker!" Steven Case has been in youth ministry for almost 20 years. He's the author of several youth ministry resources; including The Book of Uncommon Prayer (Volumes 1 and 2) and the laugh-out-loud book, Rejected Sunday School Lessons. Steve is also a commissioned minister with the United Church of Christ and serves at the Windermere Union Church in Windermere, Florida.